Celina received her certification in Holistic Nutrition at Canada’s School of Holistic Nutrition. 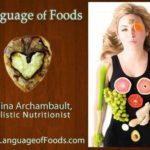 She works as a registered holistic nutritionist to provide her clients with the knowledge of what foods to consume and how to keep the foods they buy as nutritious as possible. Celina’s passion is to get people excited about cooking new foods and help people find ways to fit healthy eating into our modern lifestyle. Celina likes to focus on what you CAN eat as opposed to what you shouldn’t be eating.